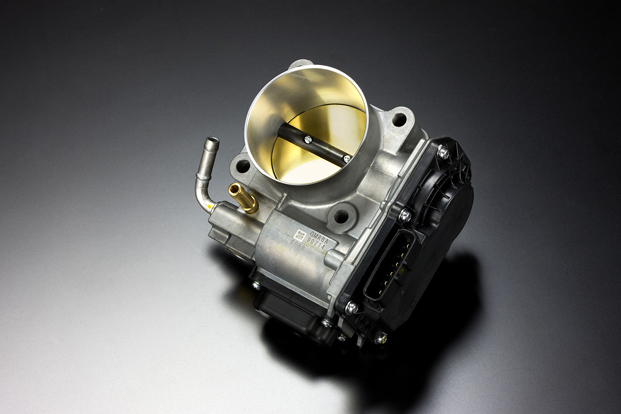 Increasing the diameter of the throttle valve and combined with a tapered entrance help to increase the amount of air the engine can breathe, giving improved performance. Dimensions are 66.5mm up from 64mm for the throttle valve diameter and the tapered entrance starting at a diameter of 70mm. 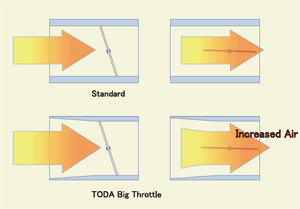 TODA’s AP2 Big single throttle is based on a new part, no trade-in is required so you get more performance and a new throttle assembly.